Brought to you by the Book Lounge and The Fugard Theatre, Open Book Festival this year has something for everyone. There’s a feast of book launches, panel discussions, workshops, masterclasses, readings, performances and more. The event takes place from 7 to 11 September at The Fugard Theatre, District Six Homecoming Centre and The Book Lounge in Cape Town. 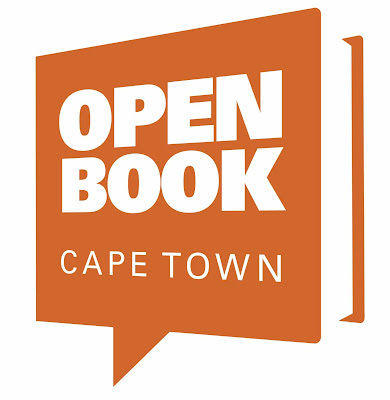 From the rock stars of the literary world to emerging writers, the Open Book Festival provides a platform to connect with a diverse range of local and international authors. The more than one hundred events are designed to entertain, engage and stimulate ideas and conversations. The programme will again include the popular Poetica and Comics Fest as well as events for younger readers. Nearly ten thousand people attended the Festival last year. Why we’re excited: The award-winning books of this French author and illustrator have been translated into over twenty languages and appeal equally to children and adults. Why we’re excited: Egblewogbe is an accomplished short story writer and poet and also the Co-founder of the Writer’s Project of Ghana. Books include:Sophie’s World;The Orange Girl, The Christmas Mystery and The Ringmaster's Daughter;The World According to Anna. Why we’re excited: Sophie’s World has been translated into sixty languages and sold more than forty million copies worldwide. His brand new book, The World According to Anna, explores crucial questions about environmental education. Why we’re excited: Glenny is a distinguished investigative journalist who has won several major awards for his work, including the Sony Gold Award for outstanding contribution to broadcasting. Books include:What Belongs to You. Books include:The Pearl That Broke Its Shell; When the Moon Is Low; House Without Windows and One Half from the East. Why we’re excited: Two brand new books to talk about (House without Windows international release August 2016 and her first novel for young adults, One Half From the East, being flown in to SA specially for launch at OBF). Why we’re excited: He received the Golden Laurel award and the Nordic Council's Literature Prize for The Prophets of Eternal Fjord, which The Guardian newspaper described as ‘A fervid, exhilarating evocation of faith versus hypocrisy, empathy versus disclocation and desperate rebellion versus grim destiny’. Why we’re excited: Lee Child’s many fans will be thrilled that Andy Martin will be conducting a Skype interview with him. Why we’re excited: Neville is an independent zine creator with 20 years of experience. Why we’re excited: Multi award winning and bestselling novelist has now published a wonderfully imaginative collection of short stories. And if her twitter feed (@lethal_heroine) is anything to go by, she’s going to make us laugh. A lot! Why we’re excited:A personal favourite of festival director, Mervyn Sloman, The Winter War is - a funny and razor-sharp family drama that unravels the fantasy some have of a perfect Scandinavian society. The Daily Mail described it “Written with unshowy care and thought...there's something Anglo-Americanly, unScandinavianly familiar about the way Teir tackles these domestic and emotional entanglements - only with weird Finnish names, very heavy snowfall and temperatures that reach -20 Celsius”. Now in its sixth year, the Open Book Festival has established itself as one of South Africa’s most innovative and leading book festivals. It is committed to creating a platform to celebrate South African writers, as well as hosting top international authors. The Festival strives to instill an interest in and love of reading among young attendees, while the programme of more than one hundred events over five days is designed to resonatewith the Festival goers long after the event. Elements of the Festival programme include talks by international authors and South African writers; poetry; a comics marketplace; panel discussions; book launches; outreach reading initiatives; youth programmes and writer sports. The Festival has already been recognised internationally, having been shortlisted for the London Book Fair Excellence Awards in the category of Literary Festivals. In 2015, Open Book hosted nearly 10 000 visitors at the 123 events with more than 150 participants. The Open Book School Library Project continues at St Mary’s Primary School where 4 ‘Open Boxes’ have thus far been placed. An additional 2 boxes will be placed in the Grade 5 and 6 classrooms respectively. As part of the Open Book Festival’s mentorship project, writing programmes ran at Westridge High School, Mowbray Library and Usasazo High School during the first half of 2016.